You're listening to Precision Rifle Media brought to you by Bison Tactical. 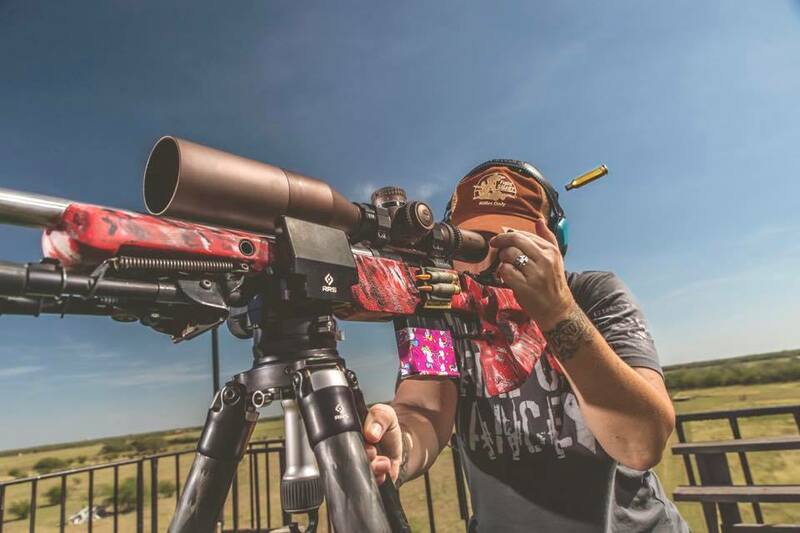 Located in Boulder Colorado, Bison Tactical has all your top-of-the-line precision shooting equipment from Laser Range Finders to suppressors, and tripods to reloading equipment, Bison Tactical has what you need to increase your long range shooting performance all under one roof! Bison tactical has also started carrying Accuracy International, Desert Tech SRS-A1s, and Hard target interdiction rifles along with a variety of drop in replacement barrels for the Ruger Precision Rifle. Use promo code PRM18 for 5% off your next order! That’s bisontactical.com Durable, Reliable and Precise. This week’s guest is Nick Butze from Bullet Central. Nick has been with the company since its inception in 2013. 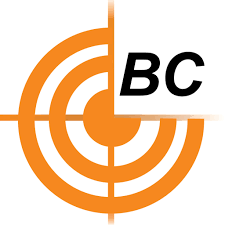 Bullet Central is located in Fargo, North Dakota and sells a variety of shooting equipment including: triggers, actions, bullets and brass. Nick joins us this week to give us a look at what Bullet Central is all about, some of the products they sell, and even a little about their South Africa store. This week we continue the Winners Mindset series with Regina Milkovich! This show was supposed to happen quite a while back but we had some conflicting schedules but better late than never! Regena is an excellent shooter and Im she isn't afraid to help other shooters advance in the sport! I also can't wait for the follow up show to hear how her .22 shooting is going and get her thoughts on that! Check out our YouTube channel for a quick down and dirty on the VooDoo gun works .22 and its pretty awesome! Regens also uses the DAFT from DST Precision that seems to have a ton of people doing better dry fire practice! This week Jake Vibbert comes on and we talk about a lot of very interesting things from him running his business to him winning matches. I called this one Winners Mindset Part one because we go over a lot of how Jake approaches different stages and obstacles during matches and how he trains! But shooting 20 matches per year must help too! This will be the first of several in the miniseries I'm calling Winners Mindset where I will be talking with several very high level shooters about how they train, how they approach stages, and how they select their gear! Jake is a great guy and if you're in need of some steel targets click the picture above to check out the JC steel targets website! This week Dustin comes on to talk about some of the awesome products that he has to offer including an ammo book, support bags, and even dog collars! Dustin was kind enough to offer listeners of the show a discount code PRM10 to get 10%off your next order at www.cole-tac.com! suppressor covers are just another product cole tac has to offer! Precision Rifle Media is supported by Patriot Valley Arms. Decades of firearms experience and engineering come together to create the future of precision firearms and modern gunsmithing. Patriot Valley Arms combines quality craftsmanship and innovation to manufacture the highest quality custom rifles for shooters across all disciplines. Let the experts at Patriot Valley Arms help with that rebarrel by setting up with a drop in replacement that you can do yourself on RPR barrels, drop-in Accuracy international, Bighorn, and Mausingfield barrels and offering prefit barrels for the Ruger American and Tikka T3. and for you Ruger precision Rifle owners check out the "universal barrel nut" for the Ruger Precision rifle. This barrel nut and wrench provides shooters of the Ruger precision Rifle use any AR15 handguard that fits a standard AR15 upper. Check out www.patriotvalleyarms.com for more details today! You're listening to Precision Rifle Media brought to you by Bison Tactical. Located in Boulder Colorado, Bison Tactical has all your top-of-the-line precision shooting equipment from Laser Range Finders to suppressors, and tripods to reloading equipment, Bison Tactical has what you need to increase your long range shooting performance all under one roof! Bison tactical has also started carrying Accuracy International, Desert Tech SRS-A1s, and Hard target interdiction rifles along with a variety of drop in replacement barrels for the Ruger Precision Rifle. Use promo code PRM17 for 5% off your next order! That’s bisontactical.com Durable, Reliable and Precise. This week Josh Lapin comes on to discuss precision hand loading and his company Copper Creek Cartridge Co. Josh is a great guy and has a ton of knowledge when it comes to reloading and making accurate ammunition! these guys will also load ammunition for basically any cartridge so if you want to shoot something that doesn't have factory ammo available but don't have time to reload these guys are the hot ticket to accurate ammunition for oddball calibers! This week Garrett Gee comes on to tell us about his experience at the gap grind. Garrett is a great guy and will help provide a lot of insight into the gap grind for anyone looking to shoot it next year! This week Modern Spartan Systems comes on to discuss their accuracy oil and what makes it tick! i think this product is something special in the flooded world of weapon lubricants. this stuff was developed for a lot of purposes and firearms is one that it shines in! I've said for a long time now that the best lubricants were designed for other things but fit into the firearms industry and this is in my opinion one of the best! use promo code PWM2017 for 15%off your order from their website! Use code PRM2015 for 15% off! This week we finish our original conversation with Josh! its a great episode and its always great to hear from Josh! John Huber showing off his rifle next to the shop! This week John Huber comes on to discuss Huber Concepts triggers and what he's got up his sleeves for future and what to look out for coming out of his shop in Fond Du Lac, Wisconsin. John has been a buddy of mine for some time now and I'm always excited to get him on to talk about his work. There are not many people out there as passionate about what they do as he is and it really shows when he gets the chance to discuss his triggers and other projects he has going through his shop! R700 Trigger with the graph showing where it breaks.